This e-course was originally offered in 2013. It was gratefully received by participants, and we decided to create this special 2019 edition with an online Practice Circle. Although Diane Berke will not be guiding the Practice Circle during this run of the e-course, you will find many kindred spirits there with whom to share your experiences and reflections. Here is the description of what you will receive through emails delivered daily. Forgiveness is defined in the Course as "the healing of the belief in separation" — from others, from our true nature, and, ultimately, from God. It is, first and foremost, a willingness to look at and release the thoughts of judgment within our own minds that turn others into enemies, and to allow our deeper knowing of unity to dawn again in our awareness. This online retreat was written by respected Course teacher Diane Berke to show how, through such "miracles," all things can become lessons in your life. Diane is Founder and Spiritual Director of One Spirit Learning Alliance and One Spirit Interfaith Seminary. She holds advanced degrees in sociology, psychology, and therapeutic counseling. 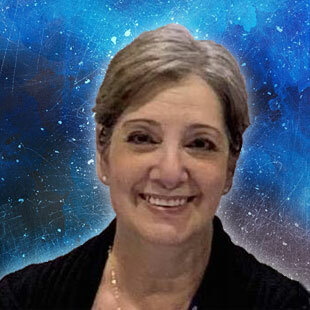 A student and teacher of A Course in Miracles for more than three decades, she is the author of numerous books and educational manuals, including Love Always Answers, The Gentle Smile, and Developing and Deepening Your Spiritual Practice. A founding member of The Contemplative Alliance of the Global Peace Initiative of Women, she is the 2012 recipient of the Huston Smith Award for Interfaith Education. a link to the Practice Circle, an online forum open 24/7 for you to share your reflections about this course and read those of other participants around the world. You will also be able to listen to the one-hour teleconference conducted when this e-course was first presented. Register now to experience something of the power and beauty of this profound spiritual path of healing.